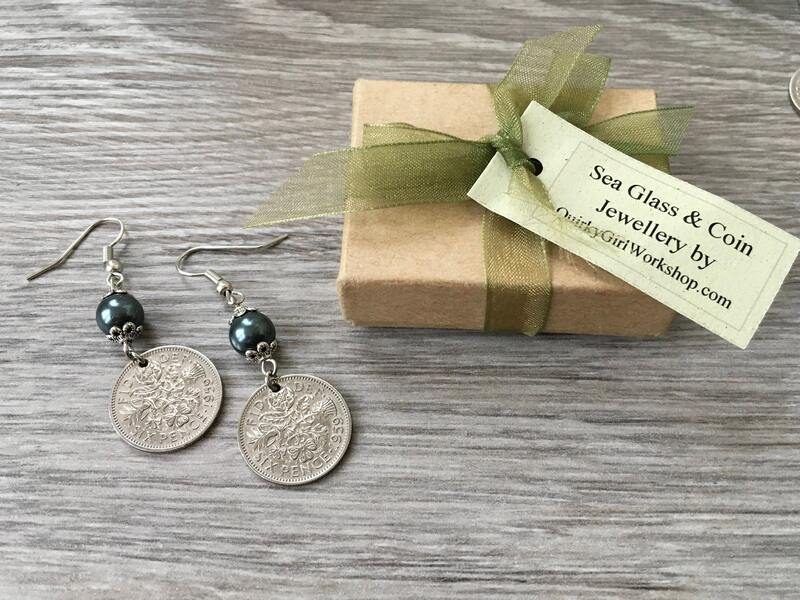 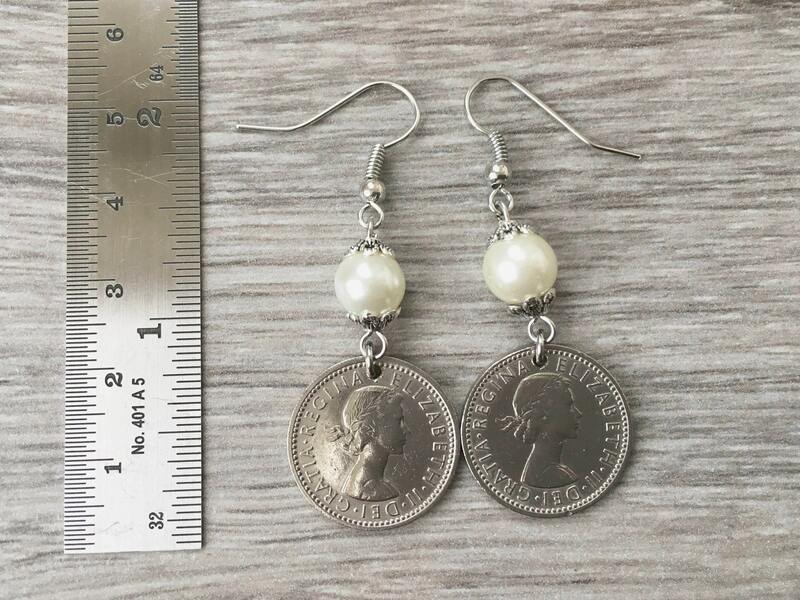 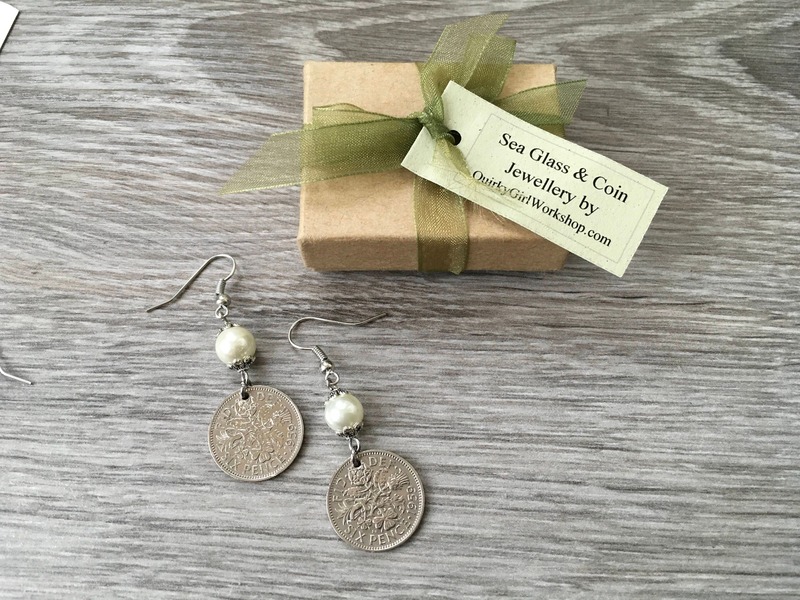 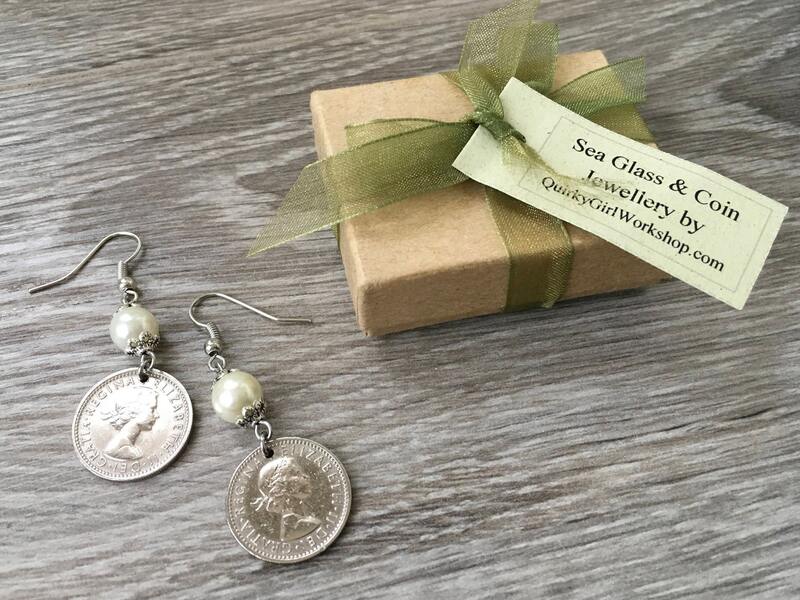 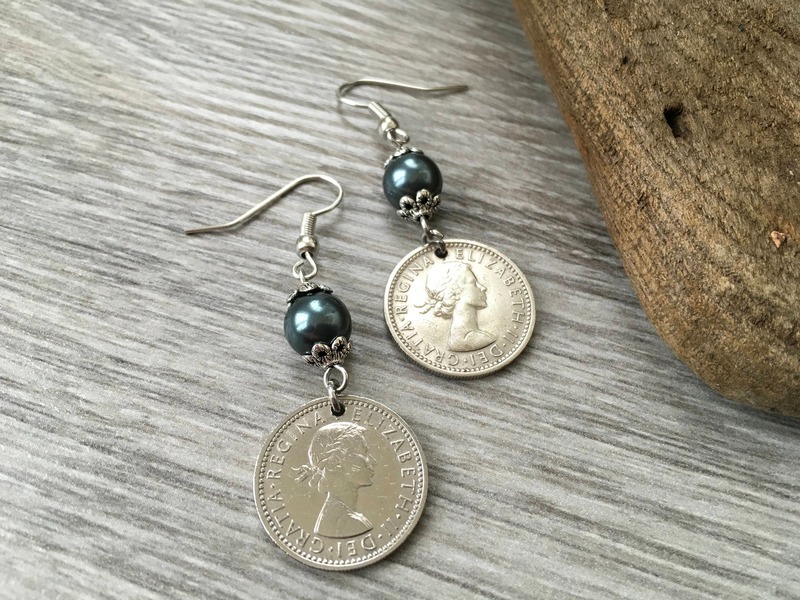 This pair of 1959 sixpence and faux pearl earrings would make a perfect 60th birthday gift or Good luck gift. 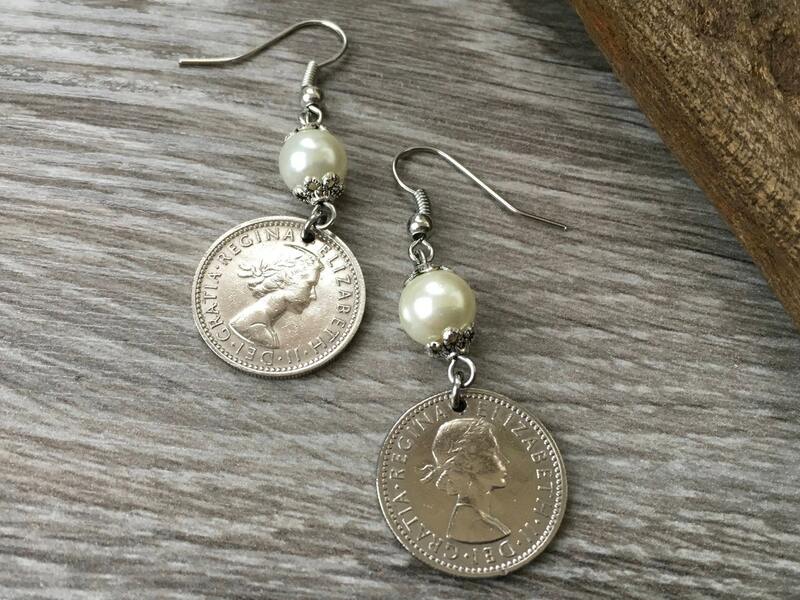 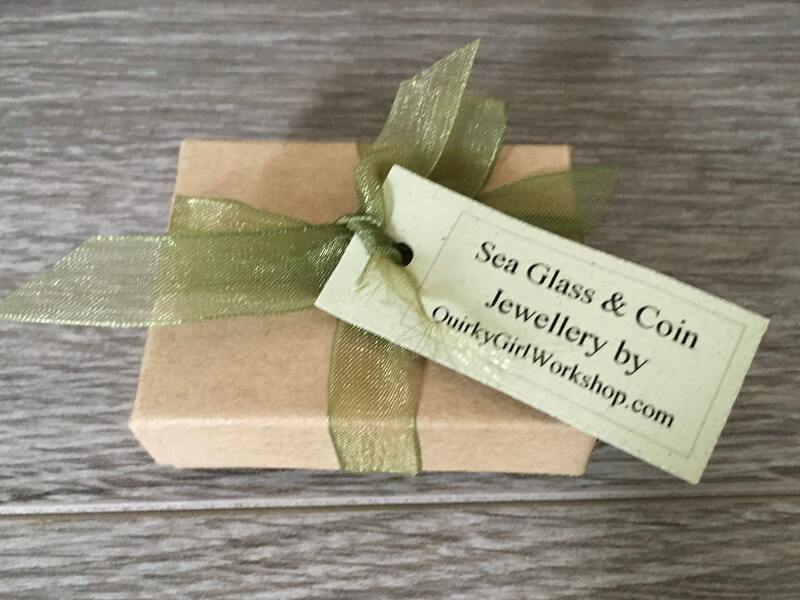 They have also been seen as a lucky charm for brides. 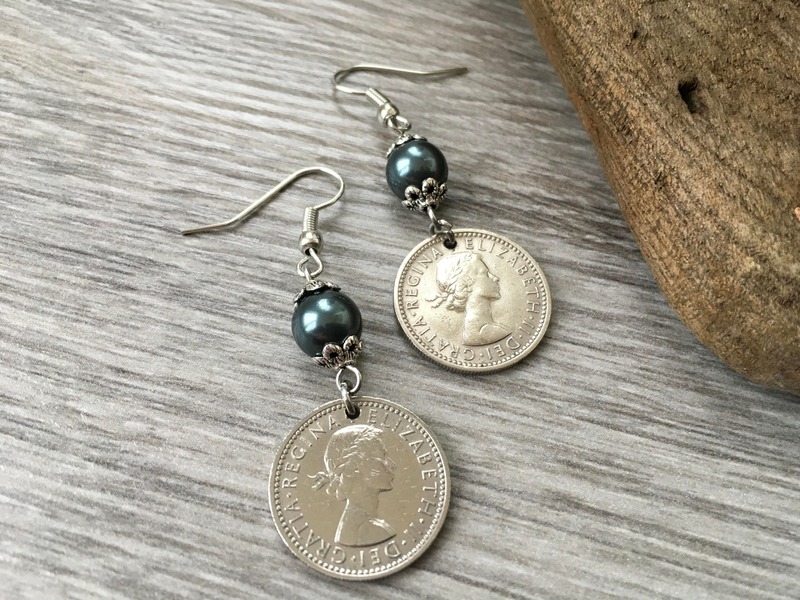 There is an old rhyme which goes "Something old, something new something borrowed, something blue and a sixpence for her (left) shoe." 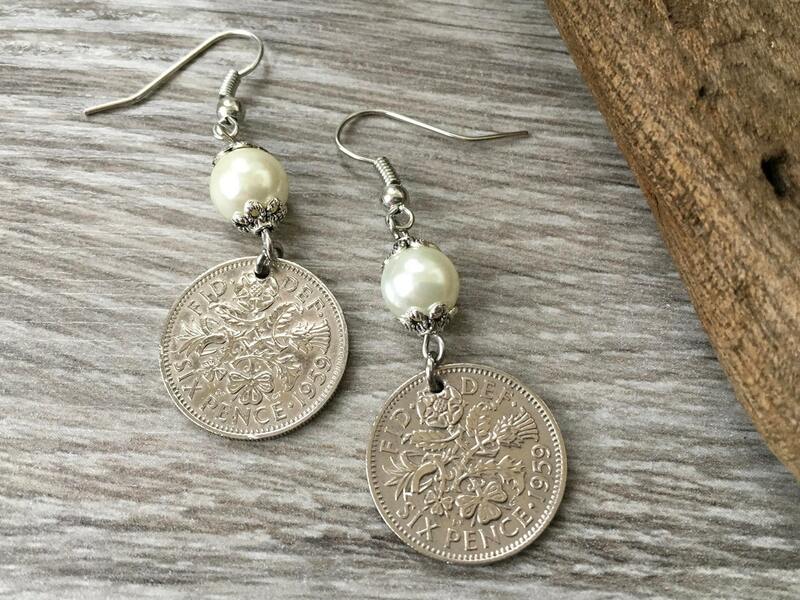 Love these earrings... great quality, shipped on time and they will always be sentimental with my birth year on them! 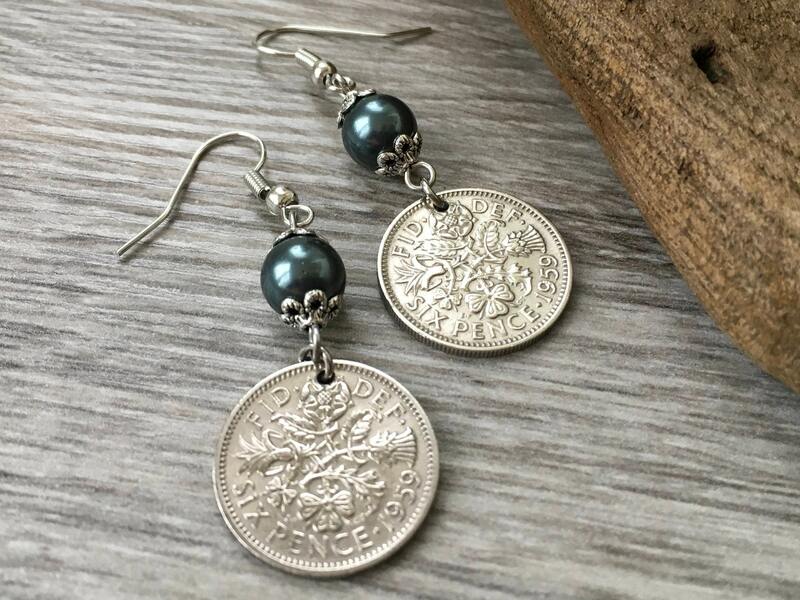 Would definitely purchase from seller again!